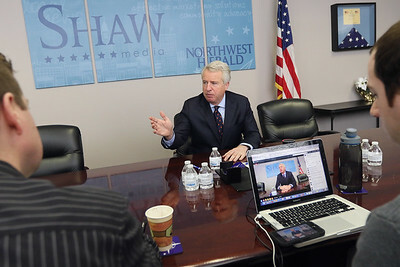 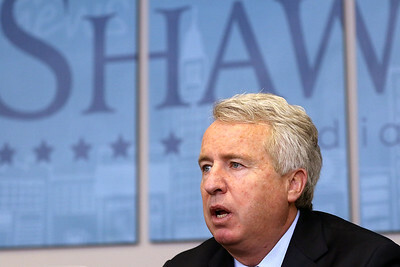 Matthew Apgar - mapgar@shawmedia.com Democratic gubernatorial candidate Chris Kennedy meets with the editorial board at the Northwest Herald on Tuesday, March 6, 2018 in Crystal Lake. 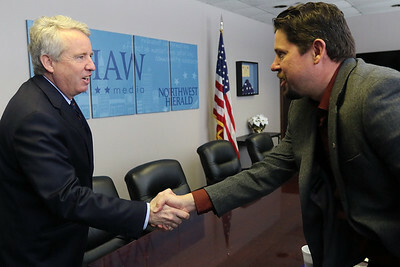 Matthew Apgar - mapgar@shawmedia.com Democratic gubernatorial candidate Chris Kennedy shakes hands with Daily Chronicle General Manager Eric Olson as Kennedy meets with the editorial board at the Northwest Herald on Tuesday, March 6, 2018 in Crystal Lake. 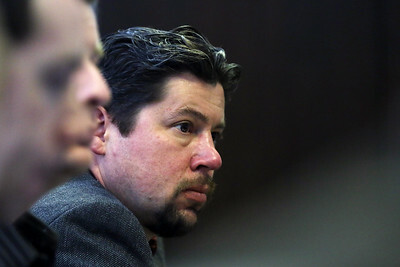 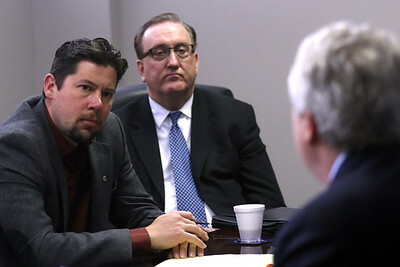 Matthew Apgar - mapgar@shawmedia.com Democratic gubernatorial candidate Chris Kennedy (right) meets with Daily Chronicle General Manager Eric Olson (left) and Northwest Herald General Manager Jim Ringness (center) during an editorial board at the Northwest Herald on Tuesday, March 6, 2018 in Crystal Lake. 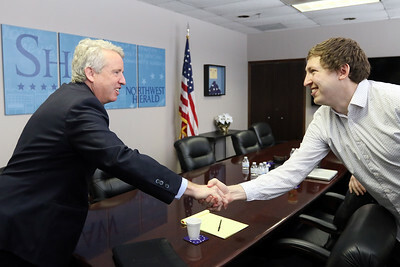 Matthew Apgar - mapgar@shawmedia.com Democratic gubernatorial candidate Chris Kennedy shakes hands with Northwest Herald sports editor Kyle Nabors (right) after meeting with the editorial board at the Northwest Herald on Tuesday, March 6, 2018 in Crystal Lake. 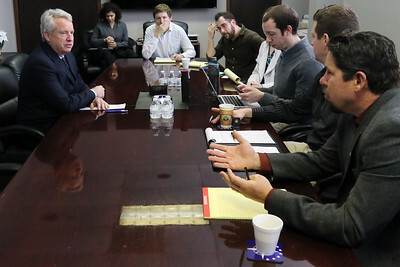 Matthew Apgar - mapgar@shawmedia.com Daily Chronicle General Manager Eric Olson and the editorial board meets with Democratic gubernatorial candidate Chris Kennedy at the Northwest Herald on Tuesday, March 6, 2018 in Crystal Lake. 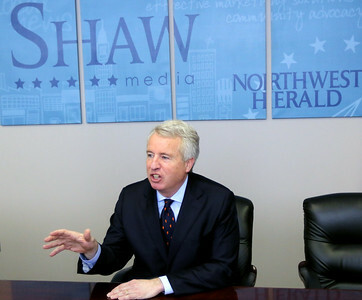 Matthew Apgar - mapgar@shawmedia.com Democratic gubernatorial candidate Chris Kennedy (left) meets with the editorial board at the Northwest Herald on Tuesday, March 6, 2018 in Crystal Lake. 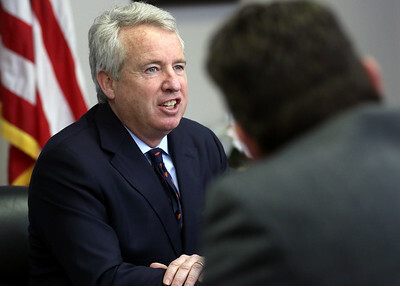 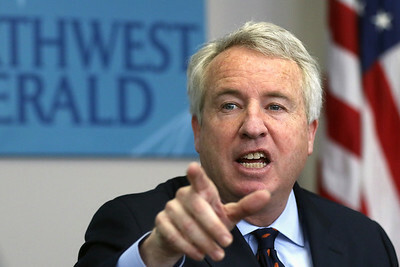 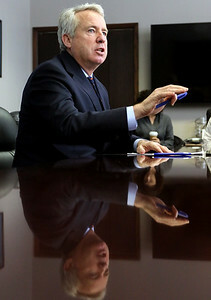 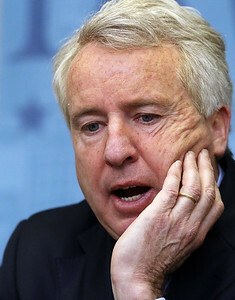 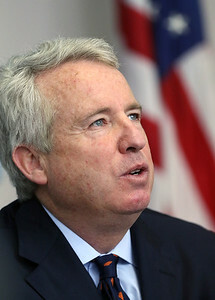 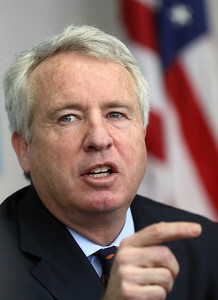 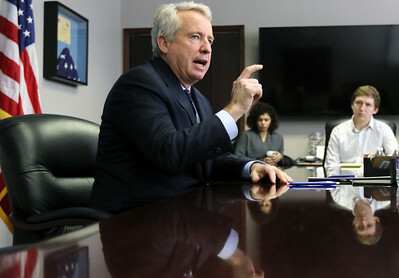 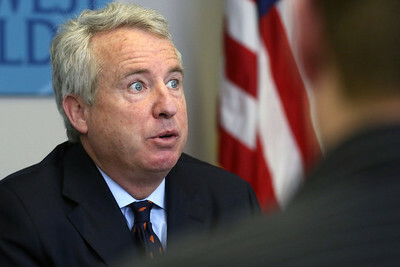 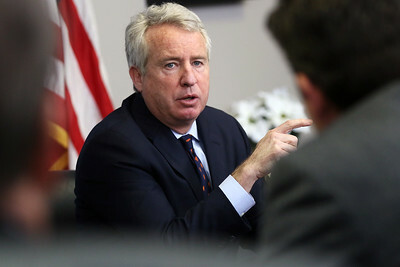 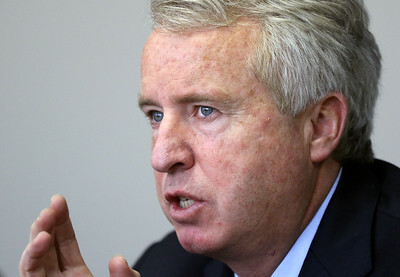 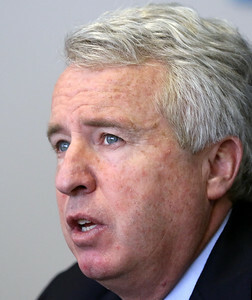 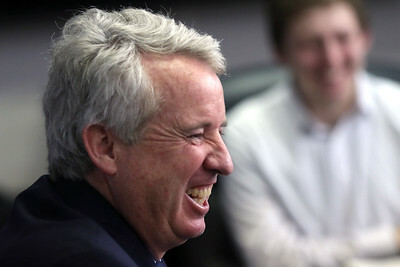 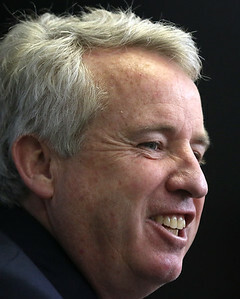 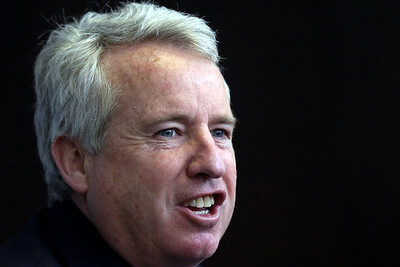 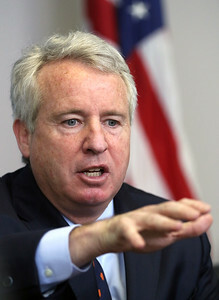 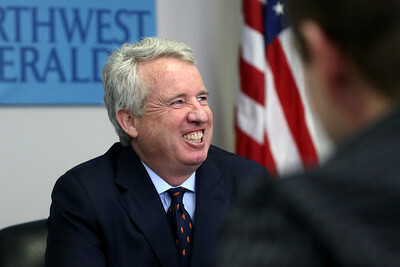 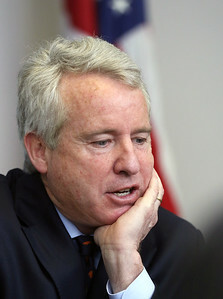 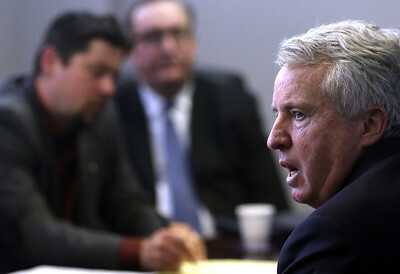 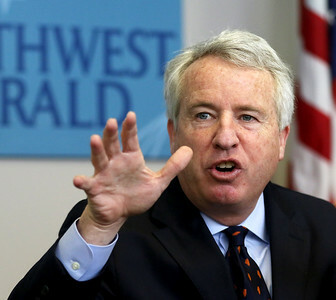 Democratic gubernatorial candidate Chris Kennedy meets with the editorial board at the Northwest Herald on Tuesday, March 6, 2018 in Crystal Lake.